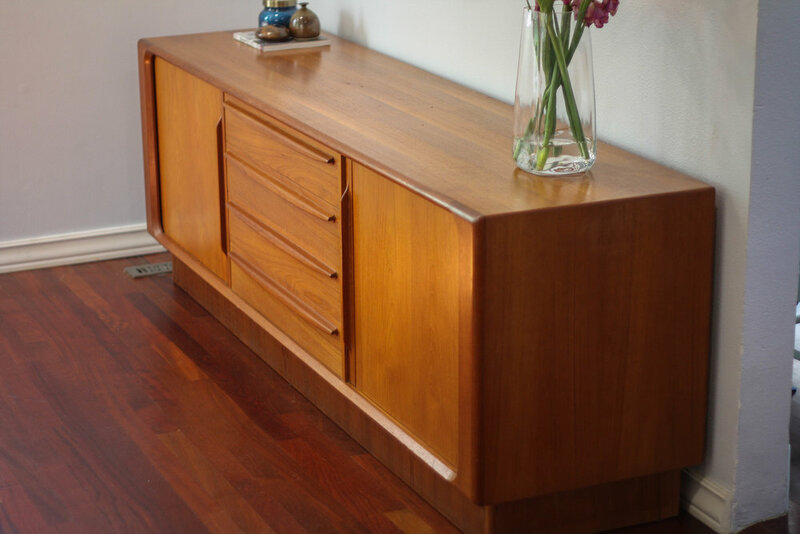 This teak sideboard was manufactured in Denmark by Bernhard Pedersen and Son in the 1960's. 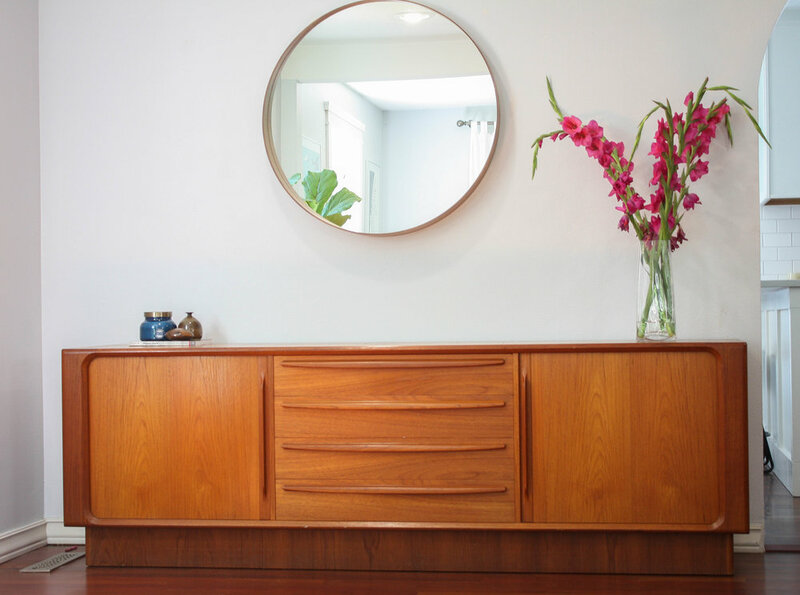 It features teak tambour doors with organically shaped details allowing unobstructed access to the interior. Striking teak fronts with amazing grain patterns. This piece has a finished backside which means it could act as a room divider and does not necessarily need to be placed against a wall. 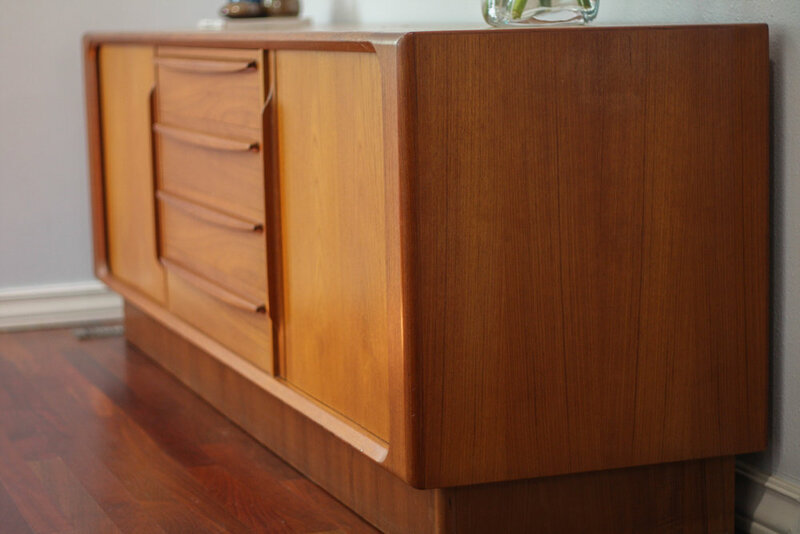 Four generously sized center drawers feature dovetailed joints and sculpted solid teak pulls. Behind the left tambour door there are three drawers with dramatic finger joints. Behind the right door, there are two shelves that can be adjusted to various heights or completely removed to meed a variety of storage needs. Teak plinth base gives a nice floating effect. If you desired, you could purchase some tapered legs and remove the plinth base for a more traditional look. Good original vintage condition with common light signs of use, most notably a hairline scratch on the top near the right side. The scratch is not deep and could easily be sanded away if you needed the top looking brand new.